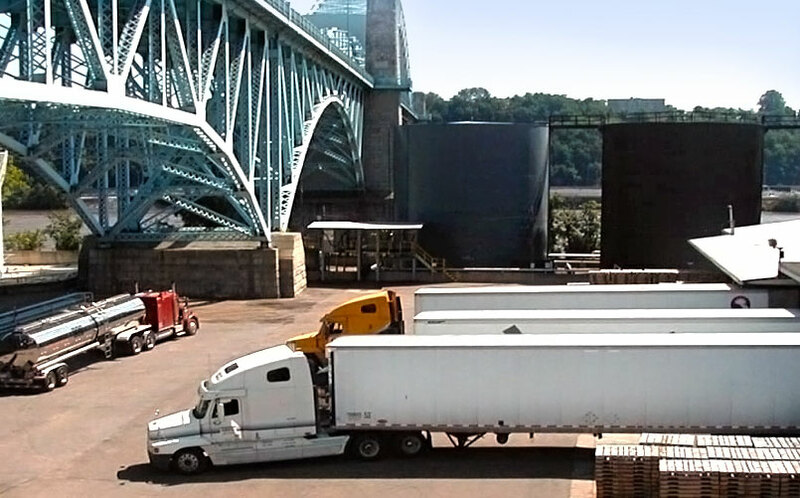 Gordon Terminal’s strategic locations enhance our customers’ supply logistics. The McKees Rocks, PA plant is three miles down the Ohio River from the confluence of the Allegheny and Monongahela Rivers at The Point in Downtown Pittsburgh. The Bayonne, NJ plant is on the Kill van Kull across from Staten Island, midway between the Newark Bay and the upper New York Bay, in the heart of the Commerce district of New York City. Both Gordon Terminal locations receive and ship bulk materials and finished products by marine vessel, rail and truck transport.